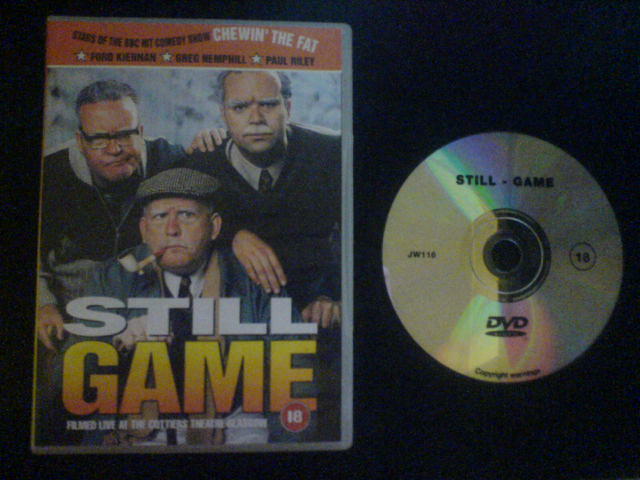 An ultra rare DVD of the men behind Scotland's favourite comedy show (Still Game) before it hit TV screens. This is a live performance of the critically acclaimed show which toured theatres worldwide back in 1999. Starring Ford Kiernan, Paul Riley and Greg Hemphill as 3 old Glaswegian pensioners in their antiquated council flat in Glasgow, this hilarious DVD shows the actors in their first outing since the successful Chewin' The Fat series. This DVD has not been available to purchase since 1999, but we here at DVD-Rare have managed to acquire a license to produce a small number of these classic DVDs for a limited period of time. 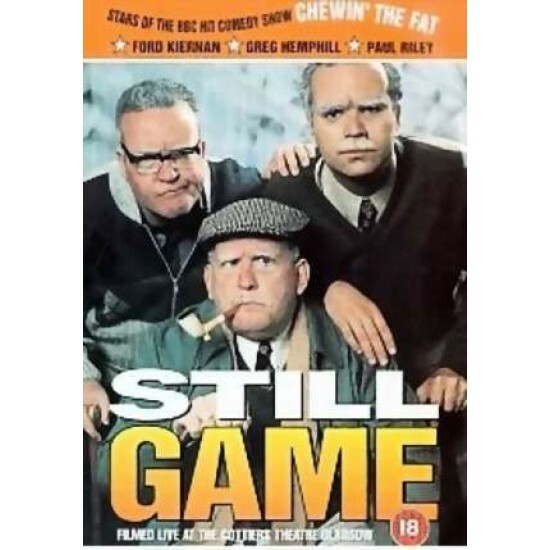 Buy now and own a real piece of Scottish TV comedic history.